A roundup of the week’s tech new including brains, Bitcoins and chicken nuggets. You’ve probably heard the mantra that every company is now a software company. But increasingly it seems software companies want to become traditional companies. Amazon now owns bookstores, supermarkets, and lorries, for example. 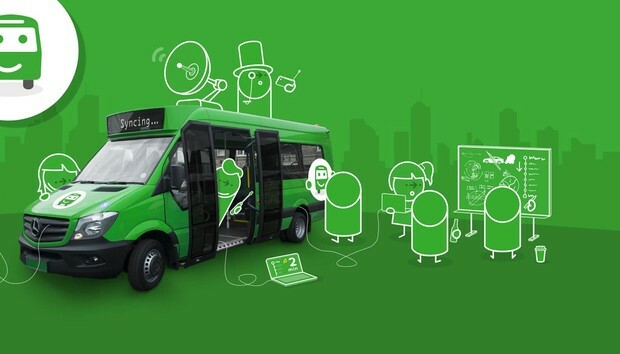 But this week route-planning app Citymapper announced it is launching a free physical bus service in London. Previously code-named “Project Grasshopper”, the Citymapper Smartbus will run a circular route in London. From this week, the CMX1 will run from Waterloo to Blackfriars, across the river, down past Somerset House and back to Waterloo. This isn’t a driverless bus, this is a regular bus. 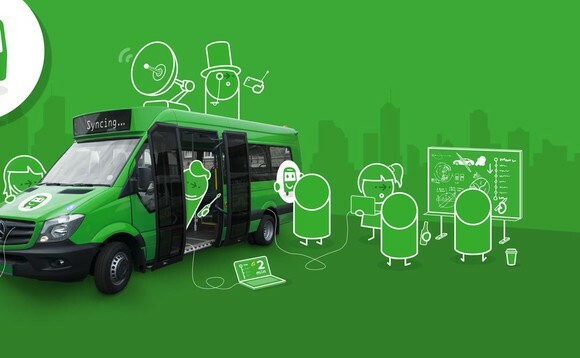 Citymapper claims it is “reinventing the entire software stack for running and operating a bus,” possibly signalling a whole new business venture for the route-planning service. Microsoft’s Cortana now has a physical form. The Harman Kardon Invoke speaker comes with Microsoft’s AI assistant built in, looks pretty much like an Amazon Echo, and promises to do all the stuff Alexa can do. In a strange coincidence, Amazon announced this week announced the Echo Show; an Alexa touchscreen device. Talk about thunder-stealing, eh? MS Build was also this week. As well as announcing that Windows 10 had reached 500 million users, the Redmond company also revealed a new Creators update due in the autumn, VR motion controllers, a new design system, as well as the Cortana Skills Kit. Yup, boat ransomware. Makes the Nissan Leaf hack seem a bit tame by comparison. The law would require users of social media sites such as Twitter and Facebook to register with a government authority or face trial. Punishment would be up to six months in prison or a fine of 50,000 Egyptian pounds (around $270). Apple has acquired sleep tracking company Beddit, Google now owns Job Simulator creator Owlchemy Labs, Cisco has bought MindMeld [a company we spoke to recently], Cyberark has snapped up Conjur, Zendesk has got its hands on Outbound.io, Otel has snaffled Jireh Technologies, and Accenture has made a double swoop for the Monkeys and Maud. Good news if you’re a Bitcoin investor. The cryptocurrency has continued its upward trajectory and is now worth over $1,700 a coin. That’s actually down from its midweek and all time high of $1,800. As Coindesk pointed out, however, with the marketcap of Bitcoin and other cryptocurrencies increasing to over $20 billion this week, it could all be one big bubble about to burst (again). One 3D printer is pretty cool. But what about a whole stack of them? Stratasys has just announced a new continuous delivery 3D printer assembly line comprised of server-like racks of printers. According to the company, the Continuous Build 3D Demonstrator will enable manufacturing runs of greater than 1,000 parts. Waymo – Google’s driverless car subsidiary –announced this its cars have driven 3 million miles autonomously. Tesla may have given its autonomous software away for free, but it doesn’t have to -according to a new study, the average household is willing to pay a significant amount for automation: about $3500 for partial automation of its cars and $4900 for full automation. Big news in the world of social media. Ellen DeGeneres’ Oscar selfie is no longer the world’s most retweeted Tweet. Step forward, Carter Wilkerson. His “HELP ME PLEASE. A MAN NEEDS HIS NUGGS” Tweet didn’t reach that figure, but his still record-breaking 3.5 million was enough to get him the prize. The internet is proud of you.